DWDM wiki has defined it as an optical multiplexing technology. As one wavelength pattern of WDM system (the other pattern is CWDM), it stands for Dense Wavelength Division Multiplexing, which is used to increase bandwidth over existing fibre networks. This powerful technology can create multiple virtual optical fibres, so as to increase bandwidth on existing fibre optic backbones. It means that the fibre in DWDM system can transmit multiple signals of different wavelengths simultaneously. More specifically, the incoming signals are assigned to specific wavelengths within a designated frequency band, then the signals are multiplexed to one fibre. In addition, the most commonly used grid is the 100GHz grid, which consists of a spacing of 0.8nm per channel. After knowing what is DWDM, we need to learn DWDM architecture. A typical DWDM architecture includes transmitter, receiver, optical amplifier, transponder, DWDM multiplexer and demultiplexer. Transmitter and receiver are the place where the source signal comes in and then multiplexed. Optical amplifier can amplify the signals in the wavelength range, which is very important for DWDM application. Transponder is the converter of wavelength. It’s responsible for converting the client optical signal back to an electrical signal. 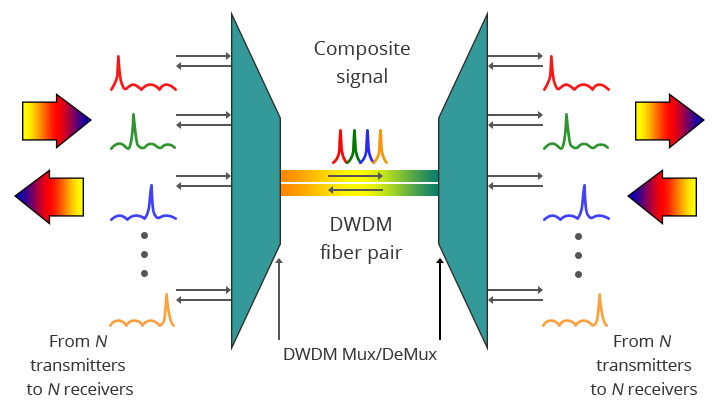 Multiplexer first combine multiple wavelengths of different fibre to one fibre, and at the receiving end, the demultiplexer separates all wavelengths of the composite signal onto individual fibres. Commonly, channels of DWDM Mux/Demux are available in 8, 16, 40 and 96 channels. All the DWDM basics work together to enable high capacity data flow in ultra-long distance transmission. The following figure is DWDM working principle. The most obvious advantage of DWDM technology is providing the infinite transmission capacity, which would meet the increasing Internet demand. And more capacity can be added just by upgrading several equipment or increasing the number of lambdas on the optical fibre. Thus, the investment of DWDM technology has been reduced. Besides, DWDM technology also enjoys several other advantages, like the transparency and scalability. Transparency. Due to DWDM is a physical layer architecture, it can support Time Division Multiplex and data formats like Gigabit Ethernet, Fibre Channel with open interfaces over a physical layer. Scalability. It’s easy to be expanded. A single fibre can be divided into many channels, thus there is no need to add extra fibre but the wavelength will be increased. All these advantages make DWDM popular in the network. As a new technology more applications of DWDM are yet to be tapped and explored. It was first deployed on long-haul routes. And now, DWDM technology is ready for long distance telecommunication operators. Using point to point or ring topology, the capacity will be dramatically improved without deploying an extra fibre. In the future, DWDM will continue to provide a higher bandwidth for the mass of data. With the development of technology, the system capacity will grow. As for the question what is DWDM, I believe you have a good understanding of it. This powerful technology is related closely with current industry advancements trend. Now, service providers are faced with the sharp growth in demand for network capacity, DWDM is the best solution. With DWDM technology, the transmission work is no longer limited by the speed of available equipment, because it provides the high bandwidth without limit. We believe, DWDM will shine in the network world. This entry was posted in Enterprise Network and tagged DWDM, DWDM technology, WDM on September 7, 2018 by Sinead.Zhang. Recently, network virtualisation technology is the most popular and advanced technology both in our daily life and professional fields. There is a wide range of VPN technology available, such as VPLS and VPWS. Based on the use of Ethernet transport, VPLS and VPWS provide high-speed communications. But many business users who are seeking the most cost-efficient and efficient solutions for their network are confused when they face the two technologies VPLS and VPWS. Here focus on VPLS vs VPWS, to unveil their mysteries. 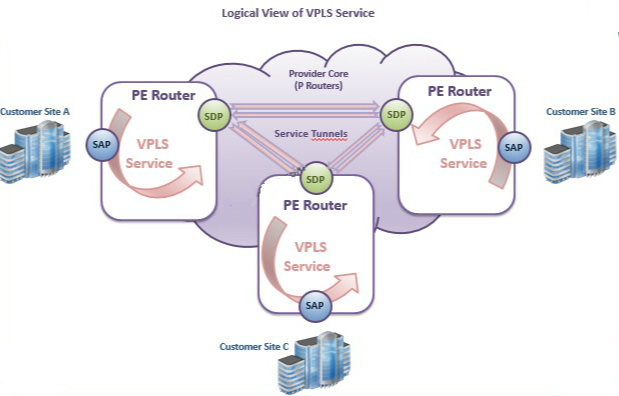 Virtual private LAN service (VPLS) is a Layer 2 technology that uses MPLS and VPN to connect different LANs over the Internet. It’s a point to multipoint service that enables geographically isolated sites to be connected through a MAN or a WAN. And all services in a VPLS are on the same LAN. CE and PE are the two basic concepts used in VPLS. CE stands for custom edge, which is the device like a router or a 10gbe switch at the customer premises. 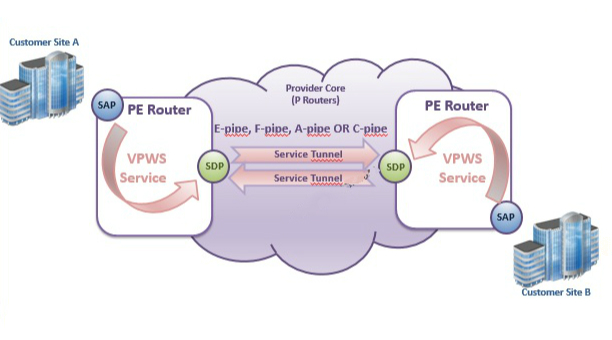 PE, the provider edge, is defined as the router at the network of the service provider. It’s typically connected with the CE and responsible for VPN access. Now let’s look at how VPLS works. In VPLS, first, the packet from a service provider network is sent to a CE device (for example, a 48 port 10gbe switch ). Then, the packet is sent to a PE router. It goes through the service provider network via the MPLS label-switched path. At last, when the packet arrives at the exist PE router, it will forward the traffic to the CE device at the destination customer site. For people who implement VPLS on a data switch, they will enjoy a fast, secure and homogeneous network with lower latency. Virtual private wire service or VPWS is built on MPLS network and provides point to point connections that connect end customer sites in a VPN. It’s also a Layer 2 technology that consists of three main elements, PE routers, Label Distribution Protocol (LDP) and Label Switched Path Tunnel. Unlike the traditional VPNs over Layer 2 circuits, which needs extra separate networks for IP and VPN services, VPWS can share the provider’s core network infrastructure between IP and Layer 2 VPN services. Thus, the cost of these services will be reduced. In addition, a VPWS Layer 2 VPN can be a full mesh or a hub and spoke topology. And MPLS is the tunneling in the core network. But other tunneling protocols like GRE also can be used in VPWS. VPLS vs VPWS: What Are the Differences? From the above, we can see clearly that the biggest difference of VPLS vs VPWS is that the VPLS provides a point to multipoint servers, while the VPWS provides a point to point service. It means that the CE devices of VPLS and VPWS are different. For VPLS, the CE routers just send all traffic to the PE devices. In contrast, in VPWS, CE routers are used to carry out Layer 2 switching and have to decide which virtual wire could be used to send data to another customer site. As regard with VPLS vs VPWS, we know they both can build a Layer 2 VPN service to meet today’s high speed network requirement. So don’t be hesitated, use your data switches or routers to set up a safety and efficient VPLS or VPWS service to optimise your network. This entry was posted in Enterprise Network and tagged VPLS, VPLS vs VPWS, VPWS on August 22, 2018 by Sinead.Zhang. To transmit data back and forth across the Internet, an IP address that administrators have to accomplish and configure on a router or Lay3 fibre switch is the essential cornerstone of a host. Besides, when you want to communicate with other networks, you need to know the default gateway address and subnet mask for the local network, as well as the DNS server. DHCP can help you get all the information dynamically. So what is DHCP and how it works? DHCP wiki defines the term dynamic host configuration protocol as a network management protocol used on UDP/IP networks. It assigns an IP address and some other configuration parameters to each network device automatically, so that the device will be authorized to communicate with other IP networks. This means users don’t need to configure the network, just plug the wire into your computer or connect to the WiFi, your computer will automatically receive the IP address, subnet mask, default gateway and DNS server. Then how to enable DHCP? DHCP can be installed on a single server or integrated in most network equipment like a Gigabit PoE switch, a router or even the firewall. The following are some related terms we should know. DHCP Client—It obtains an IP address and other parameters from a DHCP server. It is the initiator of an IP address allocation. DHCP Server—It assigns IP address and other parameters to the DHCP client. DHCP Repeater—It forwards DHCP messages between a DHCP server and DHCP clients. DHCP Snooping—It records the users’information that has applied for IP address through the layer 2 equipment. What Are the Advantages of DHCP? DHCP protocol reduces the complexity and numbers of administrative work by using automatic TCP/IP configuration. This is the greatest benefit. Today, no matter in the data centre or at home, more and more devices are being networked from printers and fax machines to TV and fridges. Often times, these devices are placed in different locations, without DHCP, you have to get up out of your comfy chair and find the device and configure each manually. But assisted by DHCP protocol, all you need to do is changing the settings on the server or may be a 10gbe switch. As addresses are assigned automatically, there is no need to keep a record of the used and free ones. Besides, DHCP snooping can detect unauthorized DHCP server on the network. As the title mentions what is DHCP and how it works, now we have learned what DHCP is, let’s turn to its operation. In essence, DHCP leases IP address and other parameters to the specific clients for a period of time. The following picture shows how DHCP works. Step one: When a new client wants to join a network, it will broadcast a DHCP discover packet to the servers. 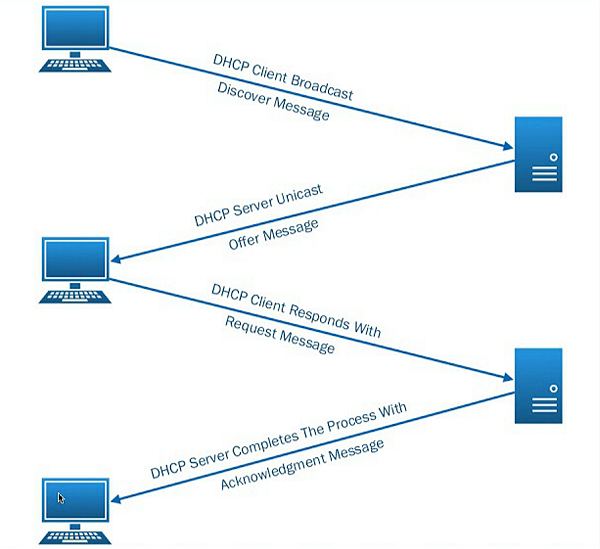 Step two: To answer the request, DHCP servers will send the free DHCP offer packet to the client. Step three: The client takes the first DHCP offer message from different serves. Then it will send a DHCP request to the Internet to indicate which IP address it has taken. Step four: DHCP server sends an acknowledge message to make sure the IP address has been used that will not assign to any other client. And now the client can participate on the network. With regard to the question, what is DHCP and how it works, I think you have found the answer. Any questions of DHCP or network switch supporting DHCP, you can visit FS.COM or contact via sales@fs.com. This entry was posted in Enterprise Network and tagged DHCP, DHCP server, how DHCP works, what is DHCP on August 15, 2018 by Sinead.Zhang. With the development of Internet technology, traditional network unicast mode can’t meet today’s data transmission requirement. On the contrary, this mode increases network load and consuming network bandwidth greatly. 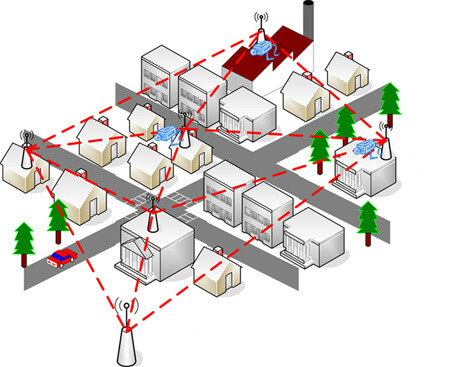 IGMP snooping is developed to solve the problem. So what is IGMP snooping? IGMP (Internet Group Management Protocol) is a communications protocol. So what is IGMP used for? Commonly, it’s used to establish membership in a multicast group. And each member host of an IP multicast is a transmitter or receiver. As for IGMP snooping, which sounds like an obscure hacker technique that may break into one’s network, is actually an advanced option available on most of switches or routers. Wiki defines it as the process of listening to IGMP network traffic. It is a multicast constraint mechanism running on the two-layer device, which is used to manage and control the multicast group. If there are plenty of multicast traffic in your network, the whole performance may be effected due to the excessive false flooding. At this moment, IGMP snooping switch can help to optimize your network. It enables the Gigabit Ethernet switch configured with IGMP snooping decides which devices will receive the applicable multicast traffic, thus the others won’t receive the message. This means broadcast packet on layer 2 has been reduced so that the network bandwidth will be conserved. Besides, IGMP snooping helps improve message information. After knowing what is IGMP snooping, let’s see how it works. Once a device joined the multicast group, the router or fiber switch will notice this. Then the message cab forwarded to the devices that have joined the multicast group. 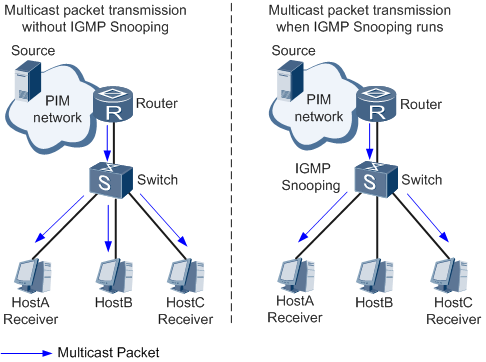 Look at Figure 1, when the switch runs without IGMP snooping, the multicast packet will be transmitted to host A, B and C. But when the switch has set up IGMP snooping, only multicast group members host A and C can receive the multicast packet. This is the main IGMP snooping tutorial. Figure 1: The picture shows how IGMP works. To keep pace with the technology development, FS.COM releases a set of switches to help customers establish IGMP snooping. Here is a 24 port switch named S3700-24T4S. The 1G managed switch provides an affordable solution for business of all sizes requiring switches with essential L2 switching features like VLAN and IGMP snooping, along with a simple and intuitive management interface. 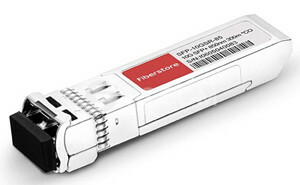 It includes 24 10/100/1000Base-T Ports and 4 10G SFP+ ports to extend your home or business network at gigabit speeds. Equipped with ARM CPU and BCM53346 chip, the Lay 2 switch has a switching capacity of 128Gbps, which is compliant with the international standard. Now I think you know the answer of the question we posed at first, what is IGMP snooping. When IGMP snooping is enabled, the bandwidth consumption will be reduced in a multi-access LAN environment so as to avoid flooding the entire VLAN. Any question about IGMP snooping configuration, please contact us via support@feisu.com. This entry was posted in Enterprise Network and tagged Ethernet switch, IGMP, IGMP snooping on August 10, 2018 by Sinead.Zhang. How to Use a PoE Injector to Install an IP Camera? Are you looking for a solution to easily power your IP cameras? 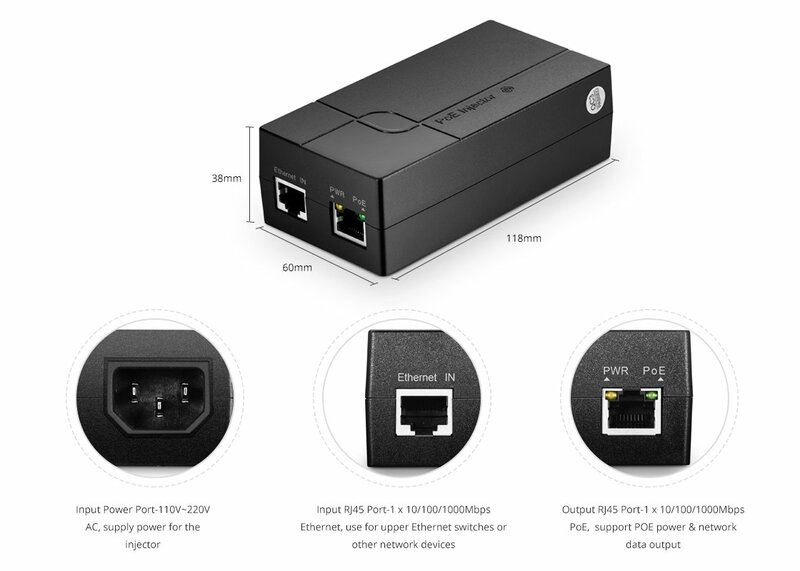 It’s no doubt to use a PoE injector or Gigabit PoE switch to complete the installation. Once your system is established, you can view your home circumstance from your computer or smartphone from anywhere. Here focus on how to use a PoE injector to install an IP camera. What Does a PoE Injector Do? Power over Ethernet is commonly regarded as PoE for short. It’s a technology that can transfer both power and data over twisted pair Ethernet cables such as Cat5e, Cat6, etc. A Poe injector is a device that is commonly known as the “midspan”. It supplies power to a camera by delivering power into the Ethernet cable. Usually, a power over Ethernet injector converts the alternating current into direct current so it can be the power supplier for low voltage IP camera. What Does an IP Camera Do? Unlike the traditional cameras, IP cameras can send and receive data over a LAN or the Internet. It’s a separated unit with its own IP address that needs nothing but a network connection like WiFi or PoE injector switch. IP cameras capture images just like a digital camera, and compress the files for transmission over the network. So these images can be viewed anywhere in the world. Also, this camera can be controlled remotely. Before the installation, we should prepare a PoE injector, IP camera and Cat5e cables. Here, we will choose the products, single port 10/100/1000M Gigabit PoE injector, 3MP indoor/outdoor dome IP camera with infrared from FS.COM as an example. Single port 10/100/1000M Gigabit PoE injector fully complies with IEEE 802.3af. It has two RJ45Ethernet ports, one is labeled Data In and one is labeled PoE/Data Out. With a power supply of 15.4W, this PoE injector for IP camera delivers power up to 100 meters. No configuration is required, just plug and play. 3MP indoor/outdoor dome IP camera with infrared is a professional surveillance and security solution for houses and enterprises. It provides video resolution of 2065×1553 pixels over a digital signal using Cat5e or Cat6, and observe high quality footage with the advanced SONY starvis back-illuminated CMOS sensor. First, check the equipment, make sure the PoE injector and IP camera are in good condition. Besides, turn off the devices’ power for safe installation. Second, plug one end of Cat5e cable into the PoE injector’s PoE/Data out port, and the other end into IP camera’s PoE port. Third, choose a place to mount IP camera. Usually, the dome IP camera is installed on the roof corner that is adequate to capture the faces of subjects of different heights. Fourth, use another Cat5e cable to connect PoE injector and a fibre switch. Last, make sure all connection is correct. Then plug in power to ensure all connections are working normally. The installation just requires several devices, a PoE injector, an IP camera, a non-PoE switch and some cables, or you can use a PoE switch like 24 port PoE switch to replace the PoE injector. Well, no matter which way you will choose to install your IP cameras, FS.COM is the one-stop shopping base when you need to buy these network devices. This entry was posted in Enterprise Network and tagged PoE injector, PoE switch, power over Ethernet on July 31, 2018 by Sinead.Zhang. EVPN vs VXLAN is one of the most popular network technology. They were developed because enterprises need to deliver data and share resources at different geographical locations. Therefore, the efficient, reliable and high speed interconnection is required for the different sites. EVPN vs VXLAN are born as the new upcoming technology to meet today’s network demands. EVPN or Ethernet VPN, is regarded as a next generation all-in-one VPN technology. It offers Ethernet multipoint services over MPLS (multiple protocol label switching) or IP networks. Using EVPN service and with the help of MPLS core network, users can connect the offices located in different areas via the lay 2 network for sending messages. This is similar to the work that extends LAN to WAN. Also, it greatly reduces the difficulty of network deployment and maintenance. 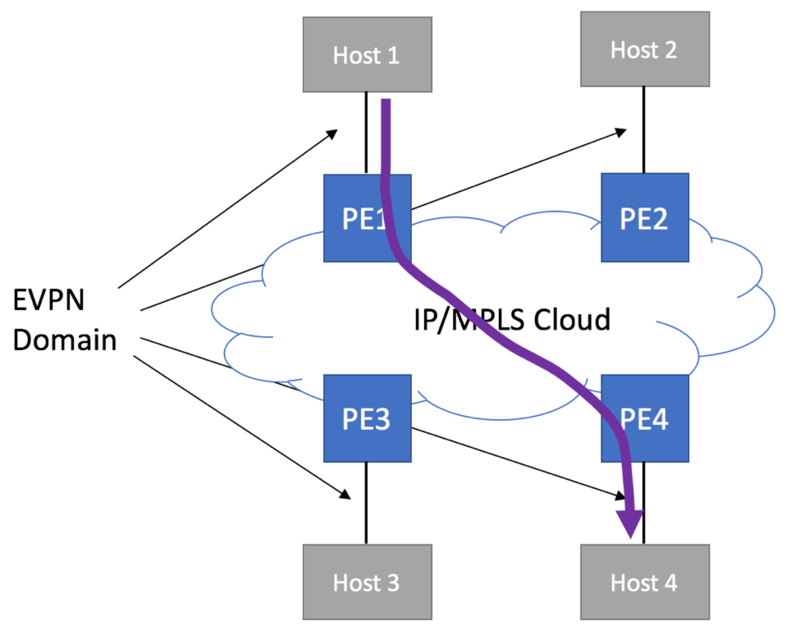 In addition, EVPN supports MPLS, VXLAN, and other data plane encapsulations. VXLAN is short for Virtual Extensible LAN. As the name implies, we know this technology is designed to provide the same transmission service for Ethernet connection that VLAN do today, but in a more extensible way. Technologically, VXLAN is a MAC in IP/UDP encapsulation technique with a 24 bit segment identifier in the form of a VXLAN ID, which is larger than the LAN with 12 bit segment ID. Also, it supplies a way to span Layer 3 network by VXLAN tunnel that is established between VETP (VXLAN Tunnel End Point). Thus it has a higher scalability to address more Layer segments. EVPN vs VXLAN are both virtual technology. VXLAN explained that EVPN could be the control plane of VXLAN, which uses the BGP (Border Gateway Protocol) to provide high scale, multi-tenant separation and fast convergence for host and VM mobility. So EVPN helps us to deploy VXLAN tunnels without controllers. Routing VXLAN is available in two architectures—centralized or distributed. Compare these two approaches, it’s clear that the distributed architecture will simplify the traffic flow. And here is the place for routing VXLAN with EVPN according to VXLAN tutorial. For the distributed architecture, asymmetric IRB (integrated routing and bridging) and symmetric IRB are the two models to achieve inter-subnet routing with EVPN. Both of them are valuable, so choose the suitable model for your legacy network system. FS.COM S5850 series switches are designed for hardware based VXLAN function. The following is a 10gb Ethernet switch from FS.COM. This S5850-48S6Q is a Layer 3 switch. This fibre switch has an advanced architectural design with 48 port 10G SFP+ and 6 port 40G QSFP+ in a compact 1U form factor. It can provide extensive data centre service features and switching capacity of 1.44Tbps. Besides, the wind direction of the switch is front-to-back, or you can change it to back-to-front. With support for advanced features, including MLAG, VXLAN, IPv4/IPv6, SFLOW and so on, this switch can help enterprises to build a scalable data centre network platform in the cloud computing era. From the above, we have a better understanding of EVPN vs VXLAN. 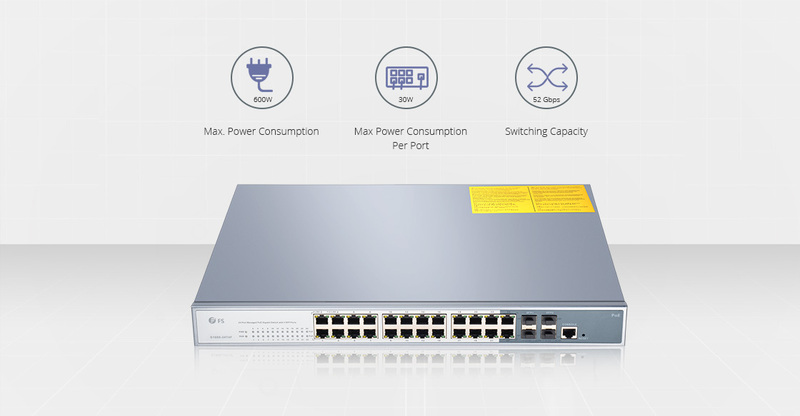 FS.COM, as an excellent provider of enterprises solutions, offers different kinds of switch such as PoE network switch, SDN switch to satisfy customers’ various network demand. This entry was posted in Enterprise Network and tagged EVPN vs VXLAN, network switch, VPN on July 27, 2018 by Sinead.Zhang. SDN vs NFV: What Is the Difference? SDN and NFV that have emerged in recent years, are the most aggressive technology in the networking industry. 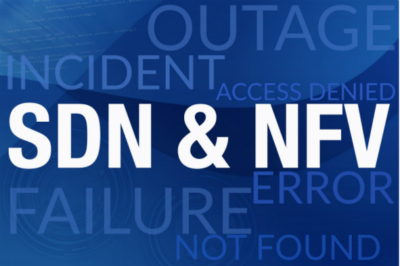 SDN NFV are born to provide new ways to design, build and operate networks. What is SDN? What is NFV? SDN vs NFV, what’s the difference? Here talks about SDN and NFV. SDN, software defined networking, started from the campus network. It developed to solve the network issue that people had to change the software of their devices when they tried to deploy a new protocol. SDN is a telecommunication revolution that separates the control plane of a network from the data plane that forwards one’s network traffic, aiming at creating a centrally managed and programmable network. As an innovative architecture of new network, it provides a way to implement network virtualisation. NFV, network function virtualisation, is developed by dozens of large telecommunication service providers. Often times, it’s difficult for them to accelerate the implement of new network services due to the restrictions of hardware-based appliances. Thus, the goal of NFV is to virtualize the network services such as DNS, caching, etc., and abstract them from the hardware on which they run, and hence they can run in software. NFV is a disruptive technological reform that offers a more open and flexible service deployment for telecom operators’ network architecture. From the above, we know SDN and NFV rely on virtualisation so that the network design and infrastructure can be abstracted in software. But do you know the difference of SDN vs NFV? Basically, SDN abstracts physical devices like data switch or router and makes the controller process to a virtual network control plane. In this way, the virtual control plane will decide the locations for sending traffic. By contrast, NFV is designed to use the standard x86 server to replace the dedicated network devices like the firewall. As a result, the network function is independent from the dedicated devices, which enables the network to develop without extra devices. The table below shows the differences between SDN and NFV. Transfer network functions from dedicated applications to generic servers. Firewalls, gateways, WAN, CDN, etc. Since SDN and NFV share the same aims that improve software-based approaches to create more flexible, scalable and perfect networks to support the increasing business demand, they have become popular in the network industry. And there’s no doubt that SDN and NFV will work together with traditional switches or some other optical equipment in the future. To follow the technological trend, FS.COM has developed SDN switches to satisfy customers’ various needs. The N5850-48S6Q SDN switch offers 48 SFP+ 10GbE ports and 6 QSFP+ 40GbE ports that support non-blocking exchange. It adopts 1.44Tbps full-duplex switch capability with the operating system of broadcom ICOS, creating a more open installation environment for users. Compared with the traditional switch, this SDN switch separates the data path from the control path, which helps to make a high-level routing decision. As regard to SDN vs NFV, we have learned the basic information of them. Also, we recognize that SDN and NFV will make a difference in the future. 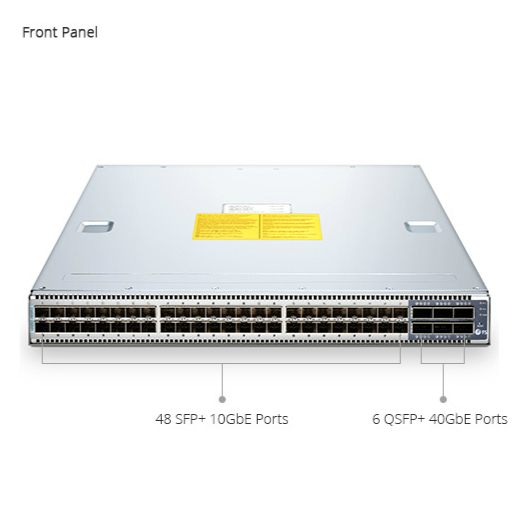 FS.COM, the supplier of switches such as 10gb switch, 40GbE switch and even 100GbE switch, will keep pace with the innovations of network world. This entry was posted in Enterprise Network and tagged NFV, SDN, SDN switch, SDN vs NFV on July 18, 2018 by Sinead.Zhang. What Is VLAN Switch and Why Do We Need It? VLAN or virtual LAN is a type of LAN that is defined to map workstations based on everything except for geographic location. It develops when the network has increased in size and complexity, and many companies require more access ports or a network design. Basically, it’s a networking technology which allows the network to be segmented logically without geographic restrictions. But how much do you know about VLAN switch? VLAN switch is built on the fibre optic switch of LAN, which realizes the division and management of logical working group as a software. As defined in IEEE standard 802.1Q, VLAN switch can provide a way to transform one network into multiple broadcast domains. And each broadcast domain is usually matched with IP subnet boundaries, so that each subnet has its own VLAN. Therefore, users can obtain various wired LANs for different purposes that are co-existed physically, which means you don’t need to buy additional hardware or cabling at a large expense. With the development of IoT, VLAN switch is extremely useful. Why Do We Need VLAN Switch? As an important feature of modern network technology, VLAN switch not only can create a separate broadcast domain, but also isolate traffic. Besides, it enjoys several advantages as followed that help to optimize the network. Security. Separating system of the VLAN switch can isolate the sensitive data from the general network, so that people will have slim chance to see the information that they aren’t authorized to see. Performance. With LAN data rates increase, traditional routers may generate a bottleneck when sending data in software. VLAN switch can settle this issue. It can segment LAN into VLANs to achieve multiple broadcast domains, which helps to reduce unnecessary network traffic and increase the bandwidth. After a successful setup, VLAN switch will benefit the whole network performance. Using network switches to realize VLAN switch is today’s common solution for network congestion. 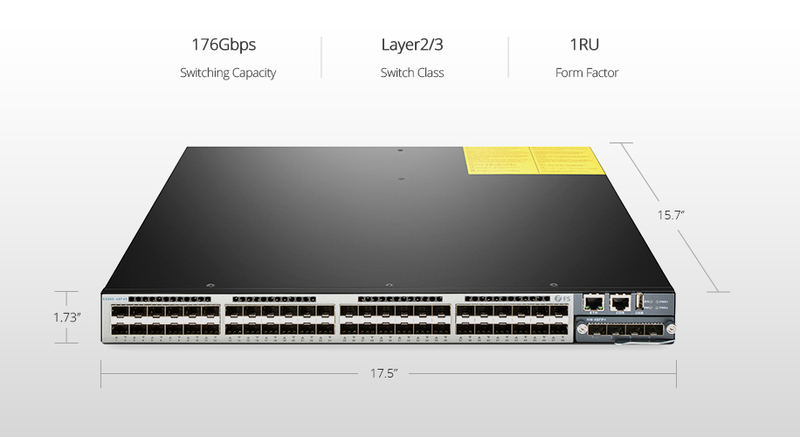 FS.COM develops a series of network switches such as 1G switch, 10GbE switch, 40G switch and 100G switch. 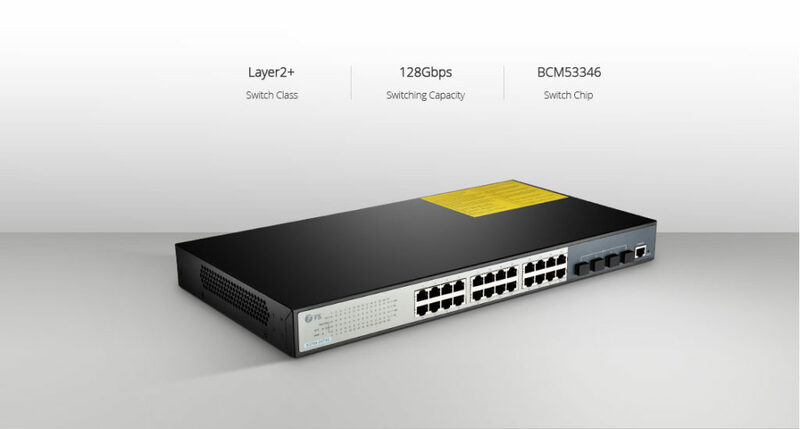 Some products offer VLAN such as S3800-24T4S 24-port 10/100/1000 base-T Gigabit stackable managed switch and 24-port Gigabit PoE+ managed switch, while some are without the support of VLAN like S5800-48F4S 48-port Gigabit SFP L2/L3/MPLS switch and N8000-32Q (32*40GbE) 40GbE spine/core layer switch. Now, we’ll take 24-port Gigabit PoE+ managed switch as an example. This S1600-24T4F PoE network switch supports 24 RJ45 ports with each PoE power consumption at 30W. For safety, each port is equipped with separated overload and short-circuit protection, and along with LED to show power status. When connected with CAT5e, each port can achieve single port power and data transmission. It accepts the dual-mode PoE standard and compliant with IEEE802.3af/at. Besides, its switching capacity can reach 52Gbps. The switch helps secure the network through supporting dynamic or static binding by users’ definition like IP, MAC, VLAN and so on. VLAN switch is a wonderful technology and tool to assist your network. Using FS.COM VLAN switches just by logging into the switch and entering the parameters for the VLAN, you can easily create a VLAN and enjoy your perfect networking experience. This entry was posted in Enterprise Network and tagged LAN, network switch, VLAN, VLAN switch on July 13, 2018 by Sinead.Zhang.